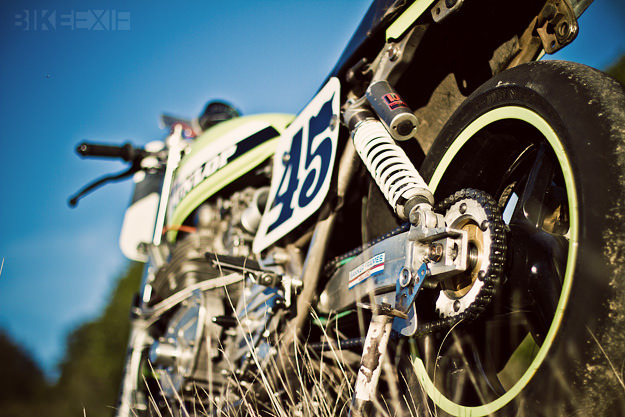 The American Federation of Motorcyclists is the USA’s oldest motorcycle road racing organization. 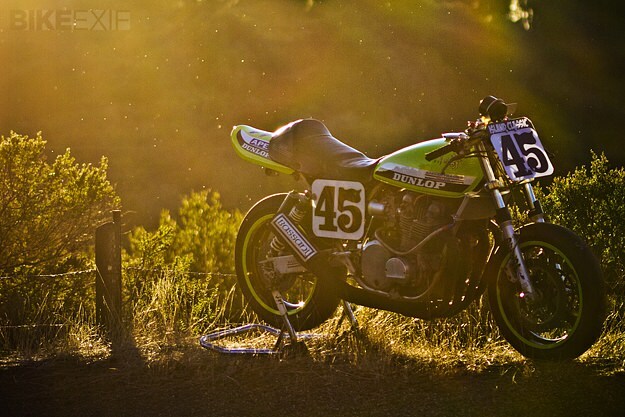 One of the fastest riders in its race series is Edwin Haazer, who’s famous for wrestling this 1975 Kawasaki Z1 to improbable speeds. 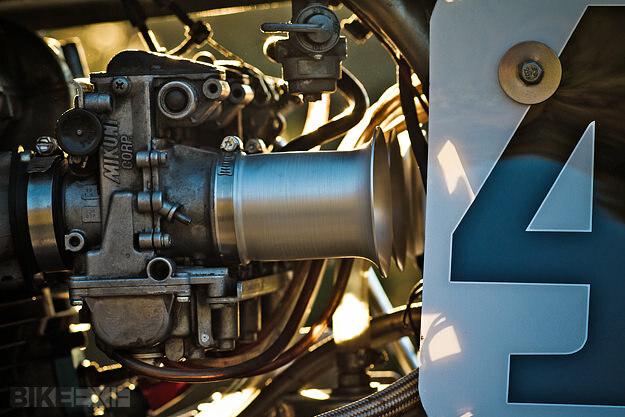 “Mad Ed” has dyno’d his 1975 Z1 at an incredible 118 rear wheel horsepower, a remarkable figure reached with the help of an engine bored out to 1045cc. 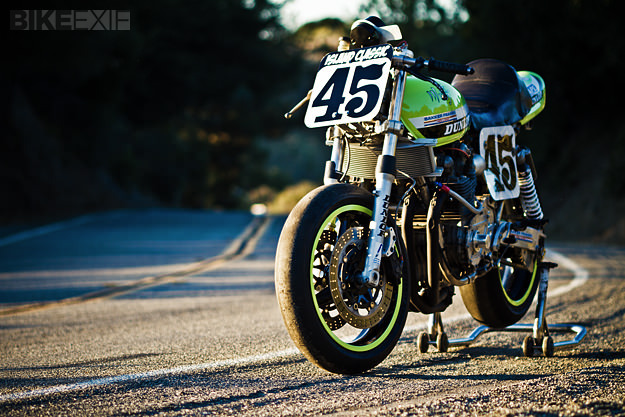 It’s fed by Mikuni 36mm flatslide carbs and exhales through a trick Bassani exhaust system. Other mods include a Nico Bakker swingarm, WP suspension and Marchesini 17″ magnesium rims. 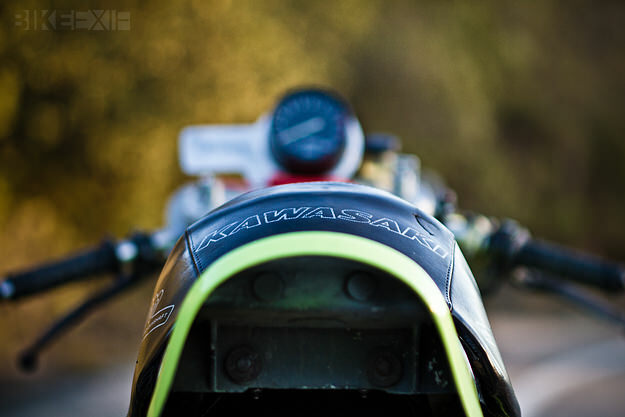 Haazer was a big hit at last year’s Island Classic in Australia, riding Roger Gunn’s Suzuki Katana. But a bad crash earlier this year at Thunderhill in Northern California ruined plans for a repeat performance. Haazer broke his leg in several places and although he’ll be heading back to the Island with this Z1 next month, he won’t be riding it himself. Photographer Jules Cisek managed to shoot the Z1 for us just before it was crated and despatched to Philip Island. Here’s wishing Ed a speedy recovery—and if you’re lucky enough to make it to the Island Classic, keep an eye out for this mean green machine, scheduled to be piloted by Jimi Mac.